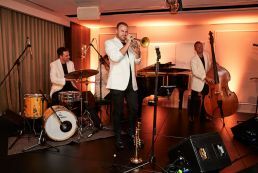 Sheraton Hotels and Resorts, part of Marriott International, last night kicked off a week of celebrations at the official launch of Sheraton Grand Sydney Hyde Park with a spectacular black-carpet soiree. 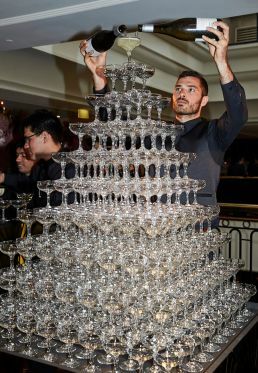 Six hundred guests including Isabel Lucas, Keiynan Lonsdale, Francesca Hung, Isabel Durant, Jess Dunbar, Matt Price, Michael Falzon, Tai Hara and Fely Irvine joined in the revelry for a night of dazzling food, drinks and live performances at Sydney’s first-ever Sheraton Grand hotel. Grab your smart phone and get ready to leave the real world behind when Sheraton Hotels & Resorts brings its Heart for the Citytour to Sydney from 16 to 21 November. As a part of its global transformation, Sheraton is embracing its roots and celebrating seven international properties, steeped in history, that play significant roles in their local neighbourhoods. Marriott International’s most recognised brand is reclaiming its position as the world’s gathering place, welcoming locals and guests on an unexpected journey of their city without leaving the hotel. Sydneysiders and visitors alike are invited to Sheraton Grand Sydney Hyde Parkfor an immersive sensory journey inspired by the hotel’s renowned high tea service. Following a stone pathway through a tunnel of lush greenery, flowers and lights – reminiscent of a stroll through the neighbouring Hyde Park – guests will emerge into a larger-than-life whimsical wonderland. With a number of Insta-worthy vignettes – think a floor to ceiling green wall of tea trees and shrubs, life-sized cups and saucers you’d find in a Tim Walker studio shoot, gigantic tiered cake stands of sweet treats, or a dramatic full-sized harvest-to-honeycomb installation – guests will be ‘buzzing’ to touch, taste and smell at each step. Sheraton Grand Sydney General Manager David Fraser said the Heart for the Cityglobal experiential tour brings to life the unique characteristics that define each destination. Formerly known as Sheraton on the Park, the iconic Elizabeth Street hotel may have a new name but its commitment to delivering premium services and experiences to Sydney remains the same. 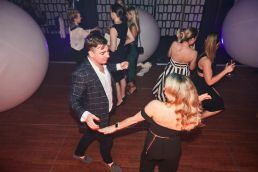 Heart for the City kicked off at the new Sheraton Saint-Hyacinthe Hotel in Québec, Canada followed by Sheraton Seattle, Washington and will visit Sheraton Cairo Hotel & Casino, Egypt before landing at Sheraton Grand Sydney Hyde Park. The tour will then visit Sheraton Santos Hotel Brazil, Sheraton Grand Bengaluru Whitefield Hotel & Convention Center, India and Sheraton Beijing Lize, China. Heart for the City features immersive vignettes that are designed specifically for each hotel, highlighting fun, share-worthy iconic themes, places and ideas central to the city’s identity that then will also be complemented by community programming. The activities will allow guests to appreciate the destinations in a creative and shareable way while also entertaining locals as they rediscover the heartbeat of their town.